Canadian-made Crown Royal is a familiar sight to American whiskey drinkers, with its distinctive bottle and crown-shaped cap. This blend was created in honor of King George VI's visit in 1939, the first time a reigning monarch had traveled to Canada, so these monarchist trappings are more than a marketing gimmick. It's a fine representative of the Canadian style, typically lighter and dryer than American whiskeys, with a hint of spicy rye. For those who like their whiskey simple and unadorned, the most straightforward way to enjoy Crown Royal is in an old-fashioned glass. 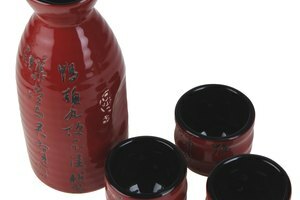 These short, wide tumblers have a satisfyingly heavy feel, and their wide mouths make it easy to add ice or a few drops of water. Either addition, even in small amounts, has the effect of "opening up" the whiskey's aromas and making it more enjoyable. 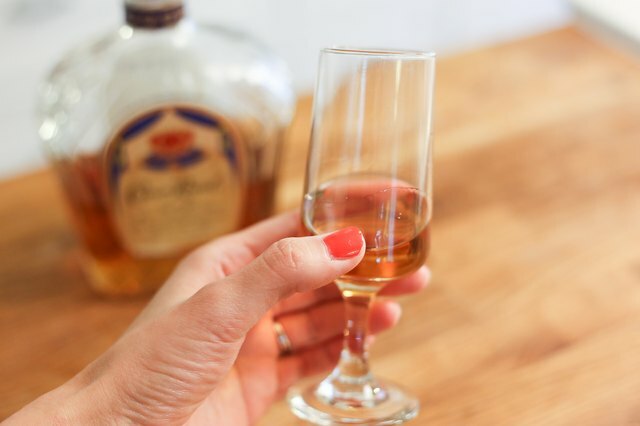 An old-fashioned glass is simply a container, but other glasses play a more active role in helping your enjoy your Crown. 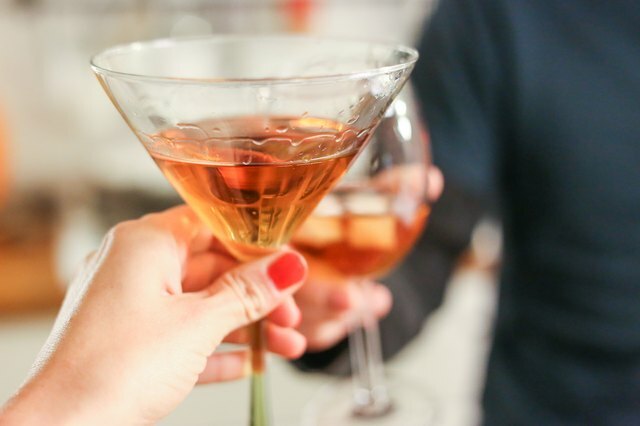 Glasses that taper toward the lip -- such as a brandy snifter, Scotch-tasting glass or even a tulip-shaped wine glass -- concentrate its aromas at your nose. This is especially helpful for appreciating the nuances of Crown's premium blends, such as Extra Rare, Black or Reserve. 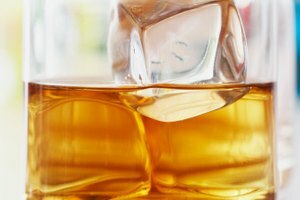 If you enjoy the flavor of a good whiskey but find it too intense in its unadulterated form, a whiskey and soda might be your drink. 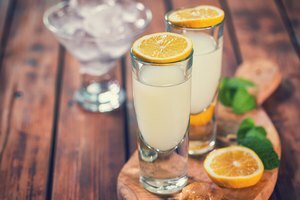 Soda water lightens the whiskey's flavor and subdues the impact of its high alcohol content, while the carbonation makes it pleasantly refreshing. Because of its simplicity, a whiskey and soda stands or falls on the quality of your whiskey, and Crown Royal shines in that role. If cocktails are your beverage of choice, switching to Crown can represent a substantial upgrade. 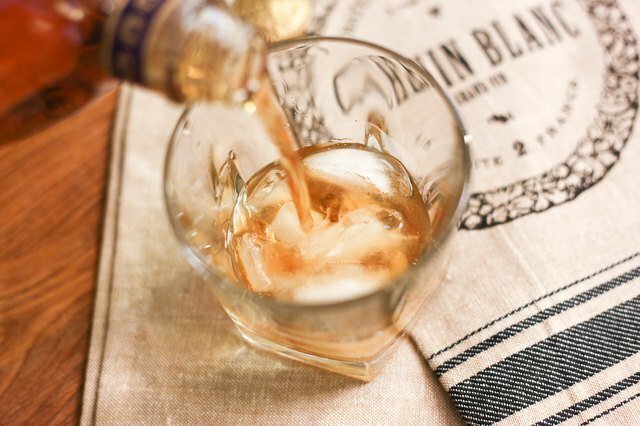 Purists might grumble that filling a perfectly good glass of whiskey with other ingredients is a waste, but cocktail aficionados know better. Like the wine in your cooking, a better whiskey makes for better cocktails. 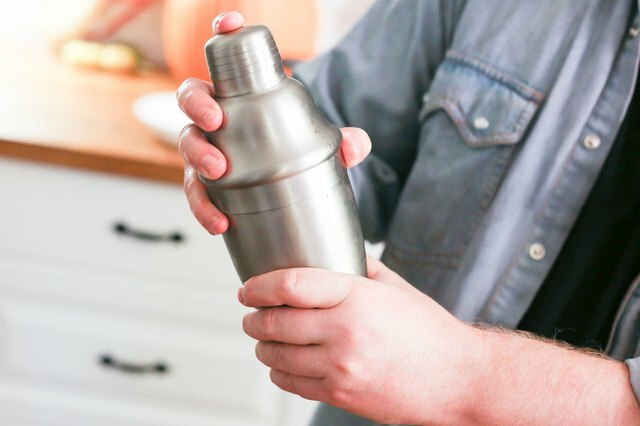 So set up your shaker, fill the ice bucket, and revisit some of your favorite classic cocktails. Many cocktails are rather sweet to the mature palate, but whiskey sours are an exception. Made with lemon juice and just enough simple syrup -- a sugar-based sweetener -- to blunt the acidic bite of the citrus, it's bracingly refreshing. Think of it as lemonade for grownups. Sometimes, the simplest drinks are the most sophisticated. Consider the Manhattan, for example. A shot of whiskey, a few drops of bitters and a dash of sweet vermouth somehow create an impression of restrained elegance. In either a classic or dry Manhattan, Crown Royal's smooth, distinctive flavor is unmistakable. 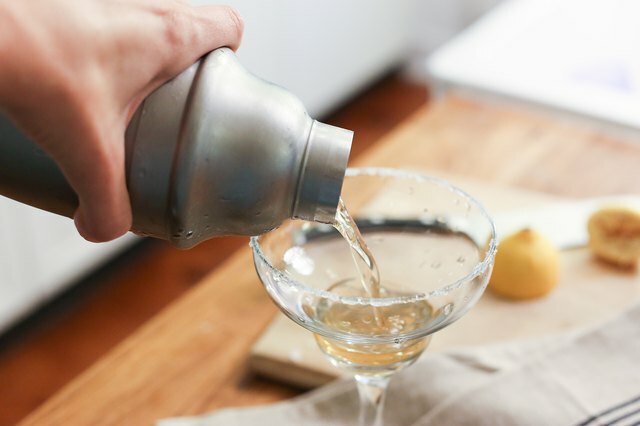 The sidecar is another vintage cocktail that benefits from Crown Royal's smooth flavor. 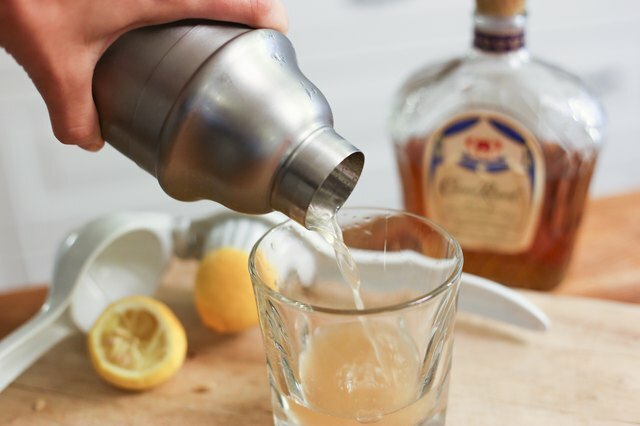 Shake a shot of Crown with lemon juice and your favorite orange liqueur, using 1 part of each to 5 parts whiskey. Strain the cocktail into a sugar-rimmed glass, for a refreshingly light-tasting drink. 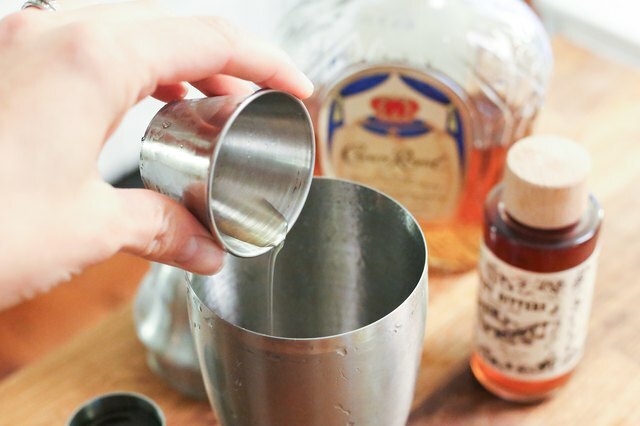 Although Crown Royal does wonderful things for classic cocktails, don't feel constrained to old-school recipes. The distillery's site includes a number of original cocktails, such as the "New Fashioned." 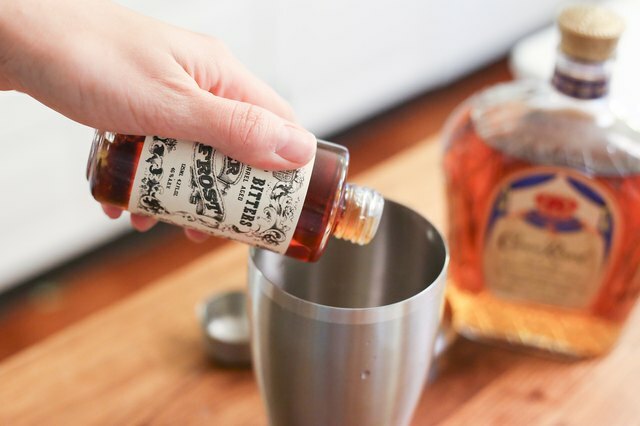 A spin on the evergreen Old-Fashioned, it combines your shot of Crown with simple syrup, almond-flavored liqueur and a splash of bitters for an elegantly complex combination. You can also enjoy Crown Royal's balanced smoothness if your taste doesn't run to complicated cocktails. 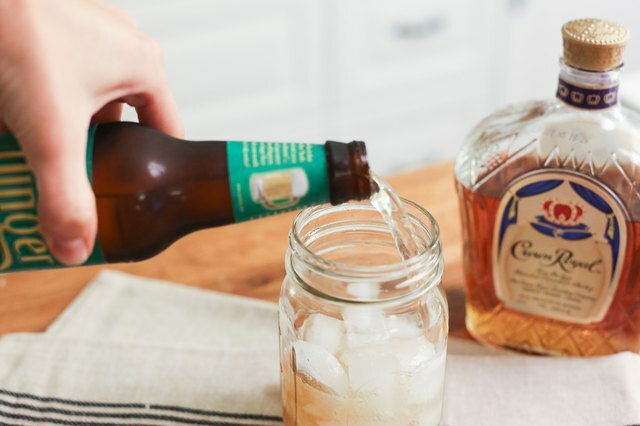 If your favorite mixer is nothing more than a lemon-lime soda or ginger ale, Crown is still a noticeable step up from low-cost bar-brand whiskeys. Ask your bartender for a "Crown and Seven" or "Crown and Ginger," or mix them up at home instead. As a rule, you can substitute Crown Royal in any whiskey-based drink. 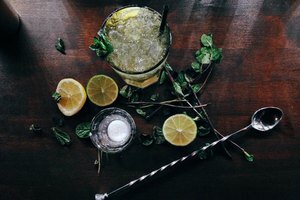 Cocktails built around the distinctive flavor of Scotch or bourbon whiskey will be noticeably different but pleasant in its own way. When replacing one of these strongly flavored spirits, you might find you achieve a more interesting end result by selecting one of the premium Crown Royal blends such as Black or Extra Rare. As with any other alcoholic beverage, Crown Royal is best enjoyed responsibly, in moderate quantities.